The rupee advanced by as much as 74 paise against the US currency during the session, but gave some of those gains to settle at 69.70 for the day. The rupee strengthened by 69 paise, or about 1 per cent, against the dollar on Thursday. That marked the fourth consecutive day of rise in the rupee against the greenback, and its highest closing level recorded since November 30. 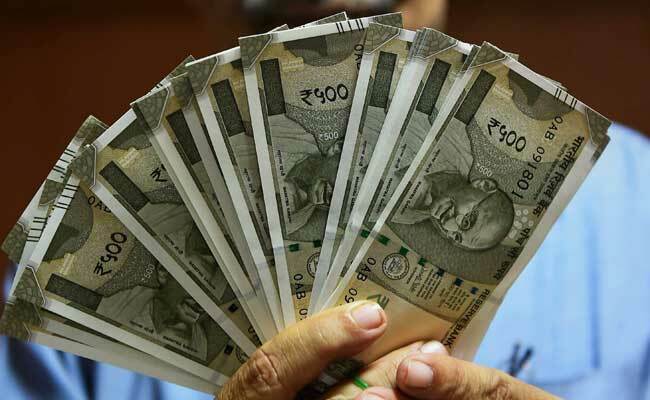 The rupee advanced by as much as 74 paise against the US currency during the session, but gave some of those gains to settle at 69.70 for the day. Weakness in the dollar against major peers overseas supported the rupee amid lacklustre trade in domestic equities, say analysts. Domestic stock markets finished lower, although recovered most of the day's losses. The Sensex finished 52 points lower at 36,431 and the Nifty at 10,951.70, down 15 points from the previous close, ending a rally that lasted for seven sessions in a row. The dollar fell towards a 10-day low against major peers as concern grew the US may be heading for a sharp economic slowdown next year, despite the Federal Reserve raising interest rates for the fourth time in a year. The US central bank on Wednesday hiked the key rate by 25 basis points to 2.25-2.5 per cent, its highest level since 2008. The Fed signalled more hikes next year, but at a slower pace than widely expected. Analysts say a slowed pace of rate hikes in the US augurs well for the rupee. "Fed slashed the interest rate hike trajectory for CY19 to two from four in 2018, which is positive for emerging market to attract liquidity," said Vinod Nair, head of research, Geojit Financial Services. Weaker economic growth and tepid price pressures in Asia will leave central banks in the region with few reasons to tighten policy next year -- especially as US rate hikes slow -- unless a new bout of currency weakness forces them to do so. Meanwhile, crude oil prices continued to move lower, with global benchmark Brent trading more than 3 per cent lower at around $55-a-barrel levels. “The rupee is having upper hand against American dollar considering macro environment may further improve with falling crude oil prices and government's liquidity infusion through open market operations as well as public sector bank recapitalisation,” said VK Sharma, head PCG and capital markets group, HDFC Securities. Finance Minister Arun Jaitley said an additional amount of Rs. 41,000 crore will be infused in some public sector banks. In 2017, the government had announced a plan for an infusion of Rs. 2.11 lakh crore ($30.06 billion) in 20 state banks by March 2019 to meet global regulatory requirements. The rupee has appreciated by 220 paise, or 3.1 per cent, in four sessions in a row.